MORE Presents Marc Mero at WrestleCade 2018! 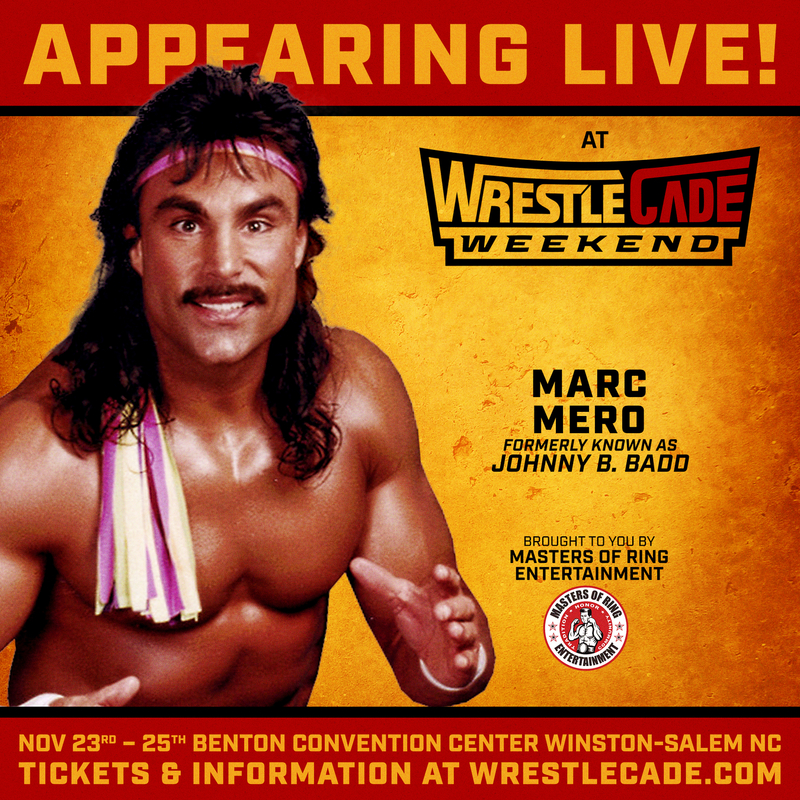 Come meet Former WWF Star & WCW Star Marc Mero, also formerly known as Johnny B. Badd in a RARE appearance at WrestleCade 2018 in Winston Salem, NC at the Masters Of Ring Entertainment table! This is Marc Mero's first time at WrestleCade. Marc Mero is a three time WCW World TV Champion, one-time WWF Intercontinental Champion. Buy in advance to save! No refunds for unused tickets. You must arrive to meet Marc Mero during the designated times. We encourage you to arrive early. You must purchase a WrestleCade admission ticket to get into the venue, at http://www.wrestlecade.com/. This ticket is only valid for Masters Of Ring Entertainment related Appearances.